For the last week and a bit, I’ve been participating in the Tour de Fleece, which is an online spinning event that corresponds to the, you know, bike thing. 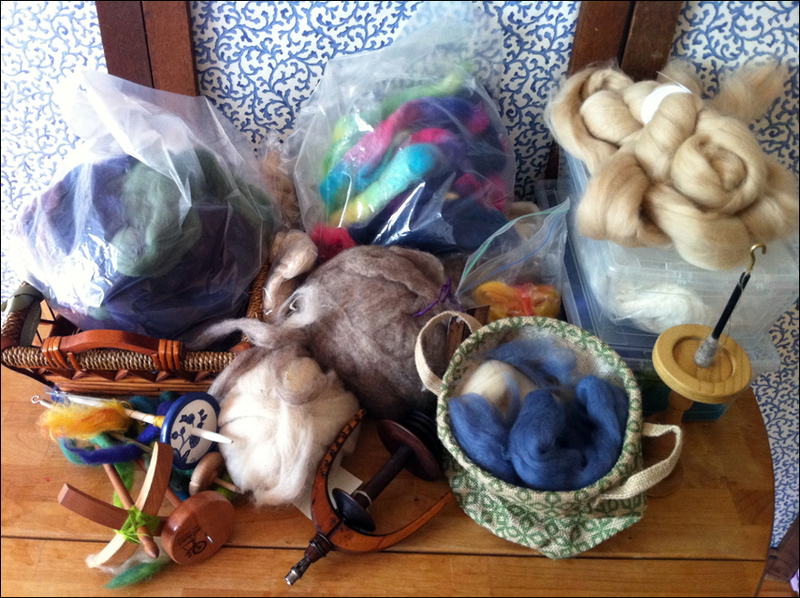 Sorting out your fluff and spindles: the handspinning equivalent of carbo-loading. There are no specific objectives for participants, but since I am a person who needs structure, I put together a list of tasks and a calendar for tracking my progress. 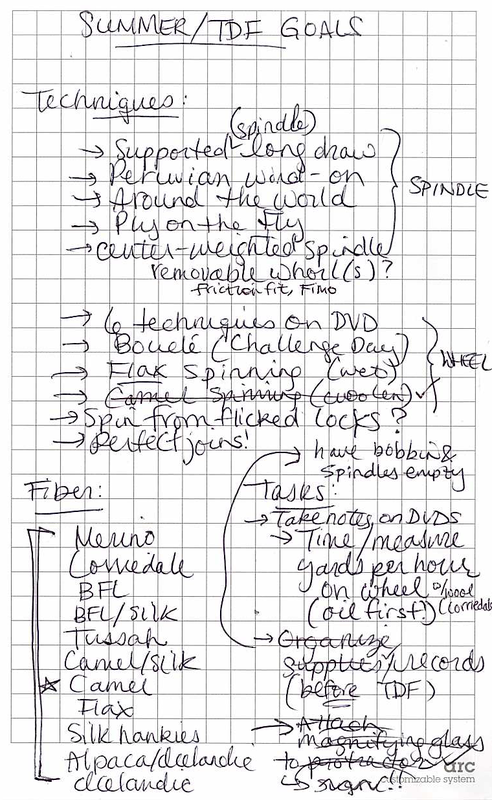 On any given day, I will do anything spinning-related so long as it’s on the Official List. Side projects need not apply: any fiendish ideas that come along (about, say, building a flax distaff or learning to spin cotton) are on ice until after this event. The event takes place largely on Ravelry, which I am finding more or less impossible to keep up with. (It’s like trying to have a conversation around a dinner table with thousand other people: by the time I start to respond to a post, the topic of conversation has already zipped along to something else.) But so far, I’ve spun a few hundred yards and made a couple of little spindles. I’m going to see if I can manage a mile of plied yarn by the end of the Tour on the 22nd. Wish me luck– or join in yourself!